The same anti-Semitism or worse permeates the Labour Party and is evident elsewhere in the UK. 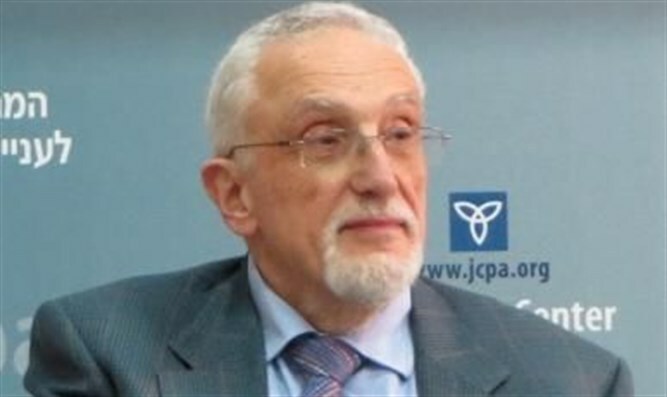 The writer has been a long-term adviser on strategy issues to the boards of several major multinational corporations in Europe and North America.He is board member and former chairman of the Jerusalem Center for Public Affairs and recipient of the LIfetime Achievement Award (2012) of the Journal for the Study of Anti-Semitism. The anti-Semitism problems of the British Labour party are far from over. Issues concerning anti-Semitism have continued to pop up recently, yet not with the intensity of the half year before. They may well continue to appear as long as Jeremy Corbyn remains its party leader. The Home Select Affairs Committee of the House of Commons largely summed the situation up in a report published on October 16, 2016. It was highly critical of developments of anti-Semitism in the Labour Party. It also stated that Corbyn has not done enough to combat anti-Semitism in the party. Conservative Prime Minster Theresa May has as well attacked Corbyn and Labour for ignoring the anti-Semitism in the party. With incitement in Labour somewhat less in the headlines, the main development concerning anti-Semitism in the UK was elsewhere. When testifying before the Home Select Affairs Committee, Jonathan Arkush, the head of the Board of Deputies of British Jews pointed out the usefulness of the International Holocaust Remembrance Alliance (IHRA) definition of anti-Semitism. Prime Minister May has since announced that the British government was adopting the IHRA definition of anti-Semitism. It is to be used by the police, councils, universities and public bodies, to help those bodies decide if an incident is anti-Semitic or not. UK police forces already use it for this purpose. The British government decision to use the definition domestically has hopefully created a precedent to be followed by other countries. In the past months Corbyn went on to send contradictory messages. He said via a spokesman that “language or behavior that displays hatred towards Jews is anti-Semitism, and is as repugnant and unacceptable as any other form of racism”  The position of the Labour Party has been to welcome the adoption of the IHRA definition. Yet, during the same period he legitimized a person who holds anti-Semitic views, Dr. Hatem Bazian, founder of Students for Justice in Palestine. In December, Corbyn attended an event sponsored by the anti-Israel hate group Islamic Human Rights Commission - a launch of a book by Dr. Bazian. 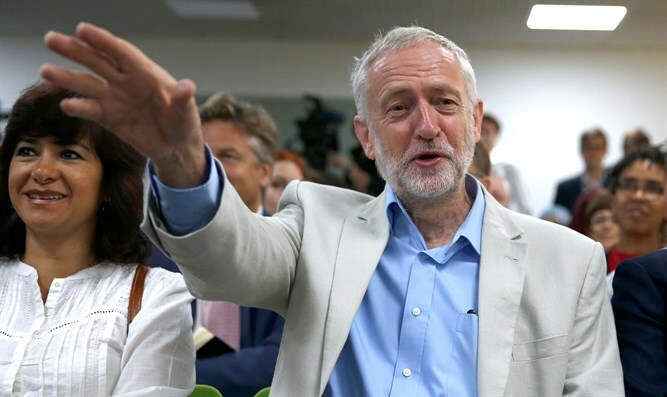 Around this same time, during a visit to the Czech Republic in the beginning of December, Corbyn visited the Terezin (Theresienstadt) concentration camp, where well over 100,000 Jews had been interned, many of which had been sent from there to their deaths in Auschwitz-Birkenau. After the Labour delegation trip, Herzog once again encouraged Corbyn to visit Israel and Yad Vashem. When Herzog visited the UK, also in November, according to Corbyn’s office he was unable able to find time in his schedule to meet with the UK Labour leader. Luciana Berger, a Jewish Labour MP for Liverpool Wavertree, who had received thousands of hate emails and tweets, testified at the trial of Joshua Bonehill-Paine. This far right nationalist with reported links to the neo-Nazi National Action Group, was convicted for sending a number of those threats. As a result of a number of anti-Semitic incidents and attacks, including the targeting of MP Luciana Berger and lauding of Thomas Mair, who murdered MP Jo Cox, National Action has been classified as a terrorist organization by the Home Secretary. She has since written an article in Al-Jazeera trying to explain her position as anti-Zionist but not anti-Semitic, where she states, “Opposition to a Jewish State is, and remains a legitimate, honorable political position, and one that many, including many Jews, have stood by for decades.” The IHRA definition states that it it anti-Semitic to deny “the Jewish people their right to self-determination,” which is what Waker does. Beyond Labour there were other severe negative developments as well. A month long survey conducted by Stamford Hill Shomrim and published October 2016, found that on average an anti-Semitic incident occurs every day in the Stamford Hill neighborhood of London, with victims including children as young as eight and young mothers with babies. Yet another area in Great Britain where anti-Semitism flourishes is in a number of universities. That, however, should be described and analyzed separately.